Note: photos of laminated/shrinkwrapped covers may show reflections from flash. New titles added December 17, 2017. Record: strong VG; micro warp nap. Cover: lower end of VG; some seam/cornerwear; ring/shelfwear; wofc; some soiling obc; some very minor creases. 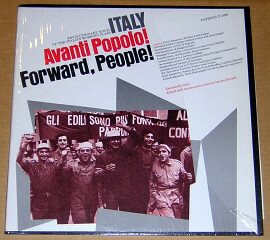 'Revolutionary songs of the Italian working class'. Cover: very strong VG+; mostly in shrink; light wear corners next to opening with minimal budding splits; slightly tweaked at spine. No booklet. S. BALACHANDER / SIVARAMAN - The Music Of India (Nonesuch) USA 196? Excellent South Indian LP veena/mridangam LP. I have a UK copy of this (released as 'Classical Music Of India) in the sale section. Record: s1 strong VG, s2 VG+. Cover: VG; very light seam/cornerwear; very light ring/shelfwear; minor lamination peeling ofc at opening; really tiny toc. Longhaired, bearded quartet from Dublin on vocals, guitars, mandolin, banjo, fiddle doing just what the title says, material going back to 1798 & all the way up to 1970. Cover: nice VG; very light seam/spine/cornerwear; very light ring/shelfwear; tiny cornerbump; very slight age-yellowing; minimal budding split on bottom seam at opening. No booklet. Less common 2nd LP from Ebrahim Isaacs & friends; loads of percussion + vocals (performed in various African languages & occasional English) & acoustic guitar. light creasing; very light soiling ofc. Cover: strong VG; fo; light overall wear + very light age-yellowing inside gatefold & faint surfmarks obc where a stkr has been removed. 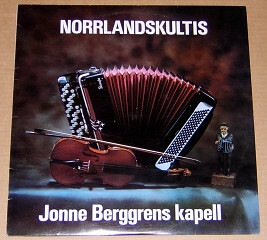 Scarce local LP; north-Swedish dance music performed on accordion, violin, guitar, bass, mostly instrumental. Cover: VG; minor seam/cornerwear; light ring/shelfwear; light creasing at spine; signed obc. Impressive guitar player doing one side folk-jazz-classical with vibes, cello, flute, oboe, additional guitar, bass, drums & one side acoustic guitar stuff, from classical to variations upon a Japanese folk song. Arranged & produced by Berndt Egerbladh. Cover: G; seam/spine/cornerwear; ring/shelfwear; bending/creasing, mostly ofc. (Musique Folklorique Du Monde) BOHEME (Musidisc) France 196? Excellent Bhattacharya recordings from the western part of what's the Czech Republic today. Record: EX except superlight scratches s1t1/2 - but they're pretty much completely inaudible. Cover: strong VG; minimal seam/spine/cornerwear; very light cornerbend; very light ring/shelfwear obc; small old price-tag obc; bottom flap of flip-back has some minor tears/fraying. 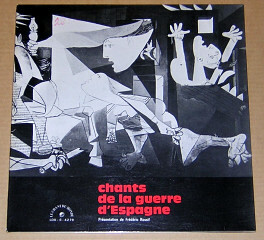 CHANTS DE LA GUERRE DÉSPAGNE (Le Chant Du Monde) France 196/7? I believe this is a late 60s or early 70s pressing of a 1963 LP. Record: very nice VG; super-light surflines only, hasn't seen many plays at all. Cover: VG+; multi-fo; has a faint wofc, otherwise very light overall wear only. 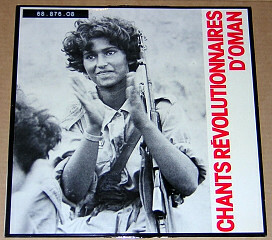 CHANTS RÉVOLUTIONNAIRES D'OMAN (Expression Spontanée) France 197? Interesting & important live recording of voices, hand percussion, stringed instruments (oud mostly), reeds. Especially s1 is great. Record: G; a few light lines & scuffing only, but vinyl is hazy (every copy I've had has looked like this more or less); plays with background surfnoise, although you won't notice very much of it except for between tracks. I believe neither recording nor pressing are perfect, so some noise will likely always be part of the experience. Cover: G; biggest drawbacks are radio station stkrs f/b & a 2" split on each seam, otherwise very light overall wear only. Insert (Swedish translation of the sleevenotes). Not the same LP as the one above, although similar in content. Record: VG; paper scuffing only; minor warp nap. Cover: VG; fo; minimal seam/spine/cornerwear; micro ring/shelfwear; stofc; slight stkr residue f/b; faint cornerbend & ditto bumps. Record: VG; looks a lot better, but there's a tiny bit of quiet background surfnoise here & there, might be a pressing issue? Cover: VG+; multi-fo; really light/discreet tofc, otherwise very light overall wear only. 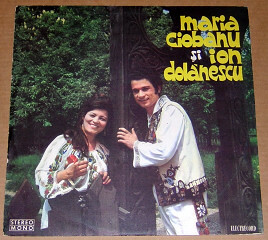 Trad Romanian folk with fine vocals, both of 'em, with a nice, often slightly melancholic vibe. Cover: strong G; seam/spine/cornerwear; very light ring/shelfwear; small tofc at opening; tiny ding/small tear at spine; some minor bending & creasing. 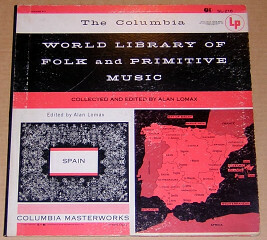 The Columbia World Library Of Folk And Primitive Music Vol XIII SPAIN (Columbia) USA 195/6? Not sure when this issue is from - it's definitely old, but has grey deep groove labels, not dark blue with gold or silver print. Matrix numbers are the same as the 2nd set of such listed for the orig 1955 issue seen on Discogs (not that info on there is especially trust-worthy). Record: F; s1t1,2,3 has a scratch which ticks/pops, but it's not crazy-bad & for 1/3 of the time it's not or barely audible; s2 has very light marks only & plays G and better. light/thin tofc; 1" split at spine inside gatefold. Bluegrass with guests like Byron Berline, Richard Greene a o. Cover: VG+; sealing stkr f/b (i e not shrinkwrapped), otherwise just minor storage wear. 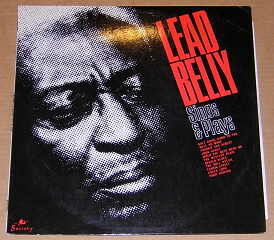 Great copy of rare folk blues comp. Mono. Cover: nice VG; light spine/cornerwear; very light ring/shelfwear; very small ss top at spine & bottom at opening respectively; very light cornerbumps; very light soiling f/b. Booklet has a tiny date written on it. Overlooked Swedish folk LP with guitar & eleven-stinged alto guitar; they do everything from classical to ragtime & trad Swedish folk. I dig this one quite a bit. Record: mostly VG+, exceptions being opening tracks both sides, which are VG - but nothing serious apart from a few pops the first revs s1. Cover: G; some seam/cornerwear; spinewear; some ring/shelfwear; ugly sealing/sale stofc; faint cornerbend + light creases at spine; very light soiling obc; minimal wear ofc at opening. NEW! EXOTIC MUSIC OF ANCIENT CHINA (Lyrichord) USA 196? Lui Tsun-Yuen on pipa and chin. There are at least a couple of slightly different pressings for this title - the one here has Lyrichord logo & # + 'Stereo' in a rectangle upper right corner ofc & richer/fuller colour to artwork. Record: very nice VG+; some paper scuffing; minor warp nap. Cover: G; very light seam/spine/cornerwear; some ring/shelfwear; small ss top at opening; stofc; very small tofc; very light stain/soiling obc. NEW! 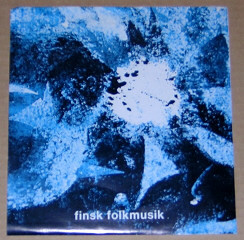 FINSK FOLKMUSIK (Expo Norr) Sweden 196/7? Very rare 7" EP with 1950s recordings from the Tampere Univiersity's archives - herding songs, laments etc. Mono. Record: F; looks a nice VG with light surflines & scuffing only, but surfnoise is prevalent throughout. Cover: very strong VG; thin, flimsy wrap-around type cover has just a touch of straight wear, but top has been wet at some point & tiny bit wavy - this is all very minor though. Record: s1 strong VG+, s2 EX. Cover: very strong VG; minor overall wear + some wear to bottom seam. Insert with extensive notes & photos. Record: s1 VG+, s2 VG; light warp nap. Cover: VG+; fo; small wofc, otherwise very light overall wear only. 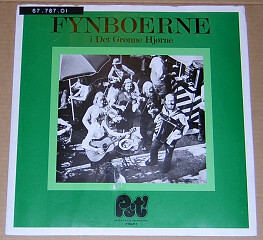 Private Danish folk LP from a bunch of longhaired, bearded guys; trad sounds on guitar, banjo, violin, harmonica - kinda rough around the edges, like you'd expect from street musicians. Nice gatefold cover. Record: G; very light lines & scuffing only; sl warp nap; stol s2. Cover: strong F; fo; downgraded because of radio station stoc; slight stkr residue/stain f/b; small tofc; light seam/spine/corner/edgewear, mostly at top; light ring/shelfwear; a couple of tiny corner bumps; minimal woc (tiny mark next to one track title). 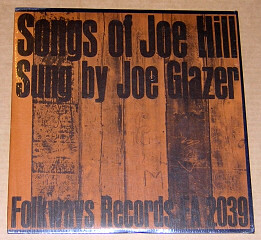 JOE GLAZER - Songs Of Joe Hill (Folkways) USA 197? 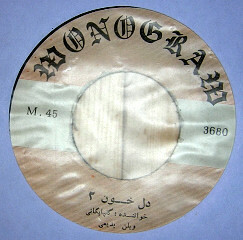 70s pressing of 1954 10". Cover: very strong VG+; in shrink; bottom seam at opening has light wear/tiny beginning of a split, otherwise pretty much like new. No booklet. AKBAR GOLPAYEGANI - Del e Khoon 2 (?) Iran 196?7? I had this listed previously as a 'mystery disc', but thanks to Jon J & his Iranian friend, I can know inform you more properly about this... artist's also known as Golpa & there's violin by Iranian master musician Habibollah Badi Ee. Title translates to "Heart and Blood". And it's still a very fine record in a haunting trad-sounding style. Email for a soundclip. Very long playing time for a 45 two tracker! Record: looks VG with superficial marks, but plays with surfnoise throughout - possibly/presumably not the greatest pressing. Really tiny warp nap. Debut LP from Basque folksinger in exile. Pretty good, with a mostly moody/melancholic feel; guitar, vocals, some bass, violin etc. Record: EX; light warp nap. Cover: strong VG; multi-fo; top seam/edges have wear & there's a faint 1" split mid-bottom seam, but apart from this it's light overall wear only. 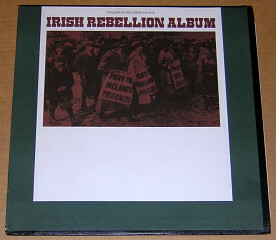 IRISH REBELLION ALBUM (Folkways) USA 197? Some excellent stuff on this, goes well with the 'This Is Free Belfast!' below. Cover: VG; light seam/spine/cornerwear; minimal ring/shelfwear; tiny ss; a couple of light cornerbumps; some faint scuffing obc; minimal wear at opening f/b. No booklet. 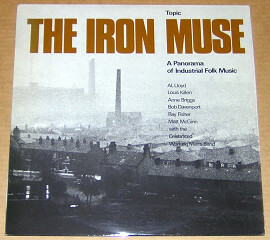 THE IRON MUSE A Panorama Of Industrial Folk Music (Topic) UK 197? 2nd pressing from the early 70s (also on blue label, which might be the reason for this sometimes selling as an original) of '63 release feat Anne Briggs, A.L. LLoyd, Bob Davenport a o. Cover: VG+; light overall wear only + very tiny amount of stkr residue obc. Rare release with rough, rustic sounds from 83-year old player recorded in his home in the mid-70s. Rhythmic & dance-oriented, with some of his technique being marred by the years, but the feel is very much alive. Joel was actually one of the old-timers that influenced Bo Anders Persson & the other TGS guys. Record: downgraded to VG because of superficial lines & scuffing only; light warp nap. Cover: VG+; light overall wear only. Insert. 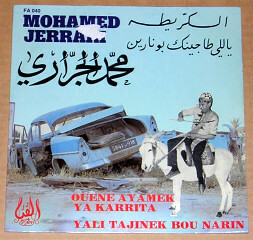 MOHAMED JERRARI - Ouene Ayamek Ya Karrita / Yali Tajinek Bou Narin (El Fen) France 196?/7? 7" in great pic sleeve (labels look way cool too!) by Tunisian musician who had lots of releases... unfortunately I'm not familiar with him at all, but this a cool spin - s1 opens with some brief sound effects before it gets a more typical thing going, with percussion, reeds, something violin-ish & vocals; up-tempo & intense & it actually reminds me a bit of Devil's Anvil or Orient Express (hey, I'm a psych guy first & foremost), minus the electrified western vibes. S2 is slightly more laidback, but still pretty good. Record: s1 has heavy scuffing & both sides have light scratches & surflines - but it plays very nicely with just some very light background surfnoise. Cover: G; some light overall wear + tofc; small tobc at opening; ring/shelfwear obc. Side one's remembrances & interviews; s2 1927-28 recordings. Detailed sleeve notes from Sam Charters. Mono. Cover: very strong VG+; basically nothing but really light ring/shelfwear obc + mono stkrs f/b. Rare 1st pressing of 7" EP with Mattias Kuoljok, Sigga Kuoljok, Pavva Kallok, Johan Märak. Record: F; looks a nice VG with light surfmarks & scuffing only, but plays between weak F & G because of surfnoise throughout. Cover: VG+; a tiny bit wavy, otherwise in top condition. Insert has a few near-invisible stains & same type of faint 'waviness' as cvr. KUSTAA JÄRVINEN - Pelimanni (Kansanmusiikki-instituutin) Finland 197? 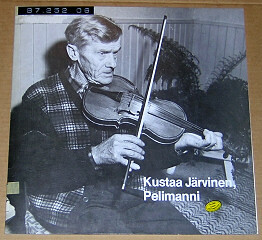 Finnish folk music on violin (as if you hadn't guessed); recordings from 1937-75. Gatefold cover with photos & notes, though in Finnish only. Mono. Record: G; light marks/lines/scuffing only. Cover: G; fo; radio station stoc (much smaller/less disturbing obc) & tofc - wear is rather moderate though, with light ring/shelfwear; a couple of very gentle bends/creases; a touch of soiling obc. 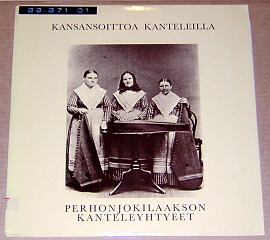 Not as awesome as the cover would have you believe, but a nice kantele LP with various mid-70s recordings. Cover: VG; a tiny bit of overall wear only, but has radio station stkrs f/b (very insignificant obc). Insert with photos & notes (in Finnish). 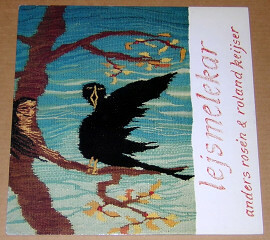 Swedish folk songs of various types - workers' songs, old-timey dance music etc; recordings from 1907 to the early 70s. Mono. Record: EX except for a mark s2t9 which causes ticks & light pops for less than a minute. Cover: strong VG+; fo with booklet; very light overall wear only. Record: VG; some faint lines/surfmarks. For obvious reasons sound quality isn't exactly hi-fi though. Cover: strong G; very light seam/spine/cornerwear; light ring/shelfwear; small cornerbend; slight stkr residue obc; light stain obc; light crease obc. Record: VG; as above re sound quality though. Cover: VG; very light spine/cornerwear; light ring/shelfwear; very light stkr residue ofc; a tiny bit of lamination loosening at top seam; old price-tag obc; some very light soiling obc. Record: strong VG; downgraded because of paper scuffing - this hasn't seen much play at all though. Cover: very strong VG+; in shrink; downgraded because of a couple of light cornerbumps & at the top one, at opening, there's a micro budding split; apart from this absolutely minimal overall wear only. Booklet. 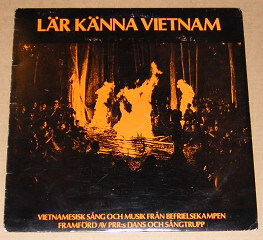 South-Vietnamese folk recorded live in Stockholm; small label release. Record: nice VG; label's pressings aren't hi-fi though. Cover: G; seam/spine/cornerwear; ring/shelfwear; some light bends & creases; small wobc. 16-page A4 booklet with notes in Swedish, but also plenty of photos & drawings. NEW! MALOUF TUNISIEN (En'Nagham) Tunisia 196? 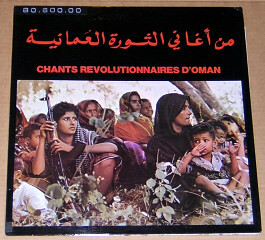 Rare 10" mini-comp with Gharrad El Komri, Ikoulek Zaman El Azhar & Hosn El Idhar. Nice roch sound with mixed vocals, string & reed instruments, lots of percussion. Record: one side G, the other strong F; both with light surflines/marks only. colour - don't know how to describe it properly, but it's obious in pic below; some stains obc (one slightly bigger, but not that bad, and a couple of smaller/lighter ones which are hard to see); minor wobc; some wear & small tear ofc at opening. NEW! LE MALOUF TUNISIEN (El Fen) Tunisia 196?/7? Different from the above, this is a full-length 12" LP with - as far as I can tell - anonymous players. Excellent instrumental music with a wide array of string & reed instruments, some with percussion backing as well. Sparse performances with one or a few players at most. Very cool simple cover design, with slightly embossed print ofc, blank die-cut back. Record: looks strong F; lots of surflines & scuff marks, but very light ones only & apart from light surfnoise between tracks you won't notice very much. Cover: G; some seam/spine/cornerwear; minor ring/shelfwear; wofc; small price tag ofc; light soiling f/b; very small tobc; some bending & creasing - very thin, flimsy cardboard, so the latter seems more or less unavoidable. Rare Sami LP; teen girls ensemble & solo singing & light guitar/bass/drums backing, occasional flourishes of flute, accordion etc, but also a bunch of a capella solo vocal tracks - to me these are the best on here. Record: VG; pops/ticks first couple of revs s1t1 & between s2t8/9 + light scattered ticks on the latter; rubber stamp & stkr both labels. seam/spine/cornerwear; light ring/shelfwear; minimal wear f/b at opening; some cornerbending & creasing; micro tofc. Booklet in great shape, bar a rubber stamp f/b. NEW! MUSICA FOLKLORICA DE VENEZUELA (Ocora) France 196/7? 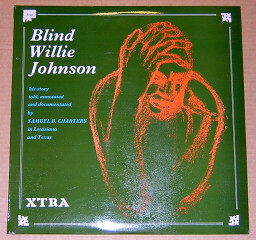 Original issue of 1958-68 recordings. Mono. Record: s1 EX, s2 VG+. Cover: VG+; fo with booklet; light overall wear + tiny bit of stkr residue f/b. NEW! MUSIK FRÅN UNGERN Csángósånger (Expo Norr) Sweden 1967? Rare original pressing sans any Caprice mention on labels. No 'single album postage' on this one! Record: EX; slight warp nap. Cover: dust cover has tears & creasing f/b, most notably a 3" x 1" tear bottom back (see pics). Also some light overall wear, like near-invisible stains top front. Hardcover is in top shape & booklet is very nice too, except for a small spot at top on each page, where they had stuck together at some point, now gently separated & not a very big deal. Also some very light age-yellowing to pages. Original pocket holding the disc is in excellent shape. Some truly out-there reed-based tracks (esp on s2) with humming/chanting vocals; interesting stuff going on both tonally & harmonically. Some percussion too & at times there's an almost free jazz-esque vibe to it - SO far from the watered-down versions of this music typically encountered when only scraping the surface. This 80s re has a different cover than the 60s/70s(?) original. Cover: VG+; fo; very light overall wear + fading on/along spine & top seams. 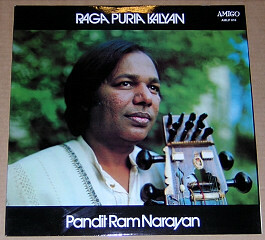 Fine live recording from Stockholm, November 1974; Narayan plays sarangi + backing on tablas & tamboura. Record: EX; looks brand-new, but has faint (inaudible) pressing marks s1. Cover: VG+; minimal seam/spine/cornerwear, except for less than 1" more notable - but still minor - wear on top seam; a touch of ring/shelfwear; very gentle cornerbend. Insert (in Swedish). Record: strong VG; a few light surflines & scuffing only. Cover: VG; some seam/spine/cornerwear; some ring/shelfwear, esp ofc; tiny cornerbend; light creases, mostly at spine; light wear ofc at opening; very light/hard-to-see stain ofc; light age-yellowing obc; name wobc. No booklet. 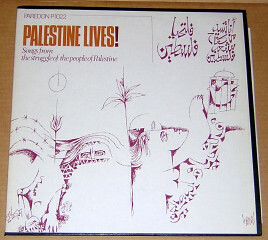 'Songs from the struggle of the people of Palestine'. Cover: VG+; light general wear + slight fading & age-yellowing at spine. No booklet. 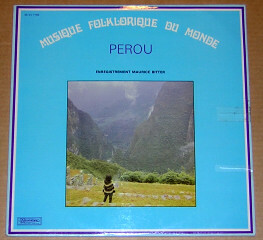 (Musique Folklorique Du Monde) PEROU (Musidisc) France 196? Record: EX except between s2t7/8 where a tiny pressing bubble pops three times. Cover: F; very little actual wear, but unfortunate removal of a sealing stkr has left tears ofc repaired with clear tape + small tears/slight stkr residue/neatly applied clear tape obc. Otherwise very light overall wear only, except for minimal wobc & small reference stobc. Scarce debut LP from one of the biggest names in present-day Sami music. This is however not a folk LP (but included here anyway, because of what she's usually associated with), but rather an extremely 80s-sounding mishmash of things... including a Lennon-cover. Pretty rare though. Record: looks G with heavy paper scuffing - I spotchecked though & it plays perfectly; slight warp nap. Cover: VG; light overall wear + gentle bending/creasing. Original inner. Sam Charters-produced Cajun LP - nice one. Charters wrote the sleeve notes as well: "Something always seems to go wrong with Cajun recording sessions. The musicians live so scattered out in the countryside that it's always a problem to get everyone gathered together" - sounds like around here when it's time to cut the hay. Record: VG; mostly just paper scuffing; very light warp nap. Cover: strong G; I've downgraded because of sealing stkr residue f/b at opening, had it not been for this it would've been a strong VG with just some minor overall wear. 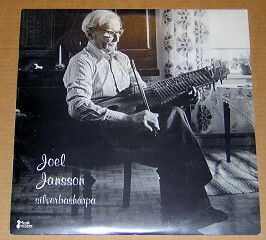 One of the top kantele guys & an essential LP if you're into this instrument and/or Finnish folk music. Record: G; light surfmarks/lines only, plays fine. Cover: very strong F; very light seam/spine/cornerwear; light ring/shelfwear; cover's a bit wavy & has minor bends/creases; 3 small tobc, white-on-white; light stkr stain ofc; shop stobc; minimal soiling f/b. 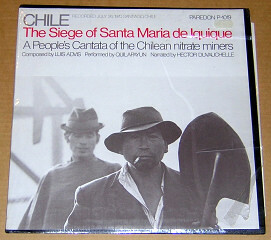 'Composed by Luis Advis, performed by Quilapayun, narrated by Hector Duvauchelle'; recorded in 1970. Cover: EX; in shrink (torn ofc); a tiny bit of cornerwear. Booklet. Record: s1 VG+, s2 VG with some very light surflines - both sides look to have barely been played. Cover: very strong VG+; in shrink; downgraded because of one tiny & minor cornerbump + it has one tiny ballpoint stroke beneath shrinkwrap (suggesting a re-seal?). Booklet. 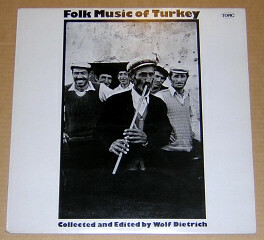 Beautiful LP with herding songs & such, performed on different types of pipes (spelpipa, cowhorn, lur) & recorded at a farm in the early morning hours to get the proper authentic feel & sound; bird song in the background. Sleeve notes aren't overly extensive, but informative. Great, cheap album! 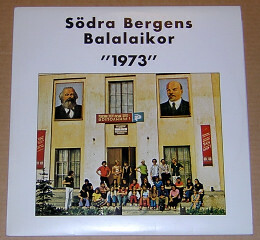 UK issue of 1973 self-titled Swedish release in different cover. Record: VG; surflines/marks & scuffing only; light warp nap. Cover: VG; sealing stkr at opening f/b, but apart from this there's light overall wear only. Collection of trad Candian recorder quartets (folk songs & melodies), collected & arranged by Chris, who also plays here, together with Judy Cohen, Ariane Dind & David Weeigens. Goes perfectly with a Sunday morning cup of tea! As with everything on the label,, it's a very limited release of a few hundred copies. 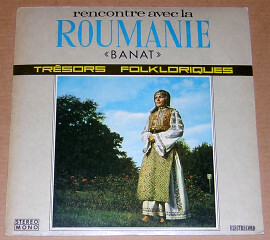 RENCONTRE AVEC LA ROUMANIE: BANAT (Electrecord) Romania 197? Like the two below, this is a mix of great/'real'-sounding stuff & some that's too clean & upbeat. 'Folk music orchestras' + various instrumental & vocal soloists. All three have detailed sleeve notes in French & English. Record: EX; very slight warp nap. Cover: VG; light seam/spine/cornerwear; light ring/shelfwear; a couple of light bends; really light age-yellowing. RENCONTRE AVEC LA ROUMANIE: MARAMURES II(Electrecord) Romania 197? Cover: VG; seam/spine/cornerwear; light ring/shelfwear; tiny tofc; light age-yellowing obc; minimal bending at opening; light wear ofc at opening. Unlike the other two, this has a rather glossy cover instead of a textured one, still thin/flimsy though. RENCONTRE AVEC LA ROUMANIE: Bucovine (Electrecord) Romania 197? The best one overall. 'The merit for the release of this disc is mainly due to the conductor George Sirbu, who has for a long time passionately studied the folklore of various dialectical subzones in Bucovina, endeavouring both to learn the specific and the accompaniment practiced by the village groups'. Cover: VG; some seam/spine/cornerwear; very light rw... and not much else. 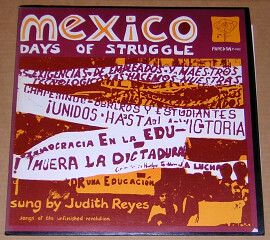 Songs of the unfinished revolution'; Judith is its quiet spokesperson on acoustic guitar & vocals. Record: VG+; very tiny warp nap. Cover: VG+; very light overall wear + wee bit of fading at spine & a really tiny tofc. No booklet. Swedish folk on violin & sax from member & sorta half-member of Arbete & Fritid; tiny release on Rosén's own label. Classy stuff. Cover: very strong VG; light seam/spine/cornerwear; very ligt rw; some faint creasing at spine/seams. NEW! 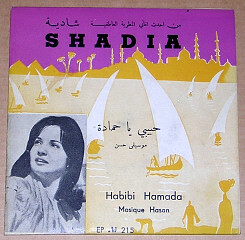 SHADIA - Habibi Hamada (Pianophon) Israel 196? Israeli label putting out recordings by Arabian artists on a semi-illegal basis, as I understand it anyway. This is a really good one, s1 slow & moody with femme vocals, while s2 is an instrumental with richer sound. I like both of 'em quite a bit! Record: visually F with lots of light marks/scuffing, but nothing deep or serious; plays its grade overall, very beginning of s2 slightly less - main issue is surfnoise & some hissing background sound; sl pricetag residue ol s2; really light warp nap. Cover: G; some stains/soiling/age-yellowing f/b - very light ofc, back has some small but obvious stains though. Not a lot of wear apart from this though. 1968 re of classic '62 album. Cover: G; light seam/spine/cornerwear; ring/shelfwear, mostly ofc; minimal split at bottom next to opening; very light wear ofc at opening; cc. 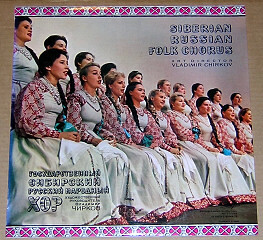 SIBERIAN RUSSIAN FOLK CHORUS (Melodyia) Russia 197? Cover: strong VG+ with very light overall wear only, except for some small, faded wobc. Cover: VG; light seam/spine/cornerwear; minimal ring/shelfwear; a couple of light cornerbends; thin tofc at opening; very light wear/loosening of lamination ofc at opening. SOVIET ARMY CHORUS & BAND TODAY (Angel) USA 197? 'A panorama of Russian melody from folk song to the age of the cosmonauts'. Record: s1 beautiful EX, s2 VG+ because of an obvious surfline t1-3, but it hardly does a thing. Cover: VG; light seam/cornerwear; some ring/shelfwear, the latter mostly obc; small toc at bottom. North-Swedish trad folk performed in various violin constellations - from solo to full 'band'. Record: s1 G, s2 VG. Cover: EX; very light overall wear only. Cover: very strong VG+; really light overall wear only. Poster insert. Excellent Greek LP with gypsy & mid-eastern vibes, bouzouki & other stringed instruments, bass, hand percussion, violin, strong vocals. Record: nice G; light surflines & scuffing only. Cover: VG; fo; some seam/spine/corner/edgewear; light ring/shelfwear ofc, a bit more obc; very light wear at opening f/b; some light creasing at spine & obc near opening; name written inside gatefold. 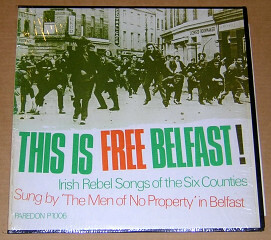 'Irish rebel songs of the six counties sung by 'the Men Of No Property' in Belfast', very nice LP. Record: scratches over opening tracks s1 cause background pops throughout t1 & pops a bit louder for about 1/3 of t3; rest plays G & a lot better. S2 is VG. Cover: VG+; in shrink; corners at opening have slight wear + a minimal ss at bottom; shrink's popped open at spine, which has slight age-yellowing. No booklet. Swedish release of a Woodstock live recording; Paul Butterfield guests. Record: VG; light surfmarks and scuffing. Cover: VG; minimal seam/spine/cornerwear; very light ring/shelfwear; tofc; very light wear ofc at opening; some faint creases at spine. NEW! MARIA VARSI - same (Jokkmokks Museum) Sweden 1965? 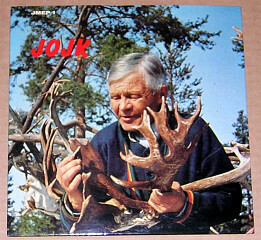 Rare 7" EP with this Sami singer, doing "Songs and Hymns in Lappish". Record: F; looks VG with light surflines only, but plays F (& slightly better at times) with surfnoise throughout. Cover: VG+; slightly wavy, otherwise really nice with only the tiniest amount of overall wear. Insert has some light stains & is slightly wavy as well. Insert. 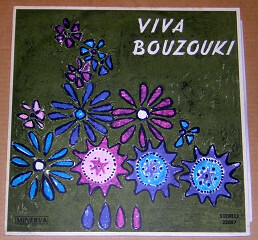 VIVA BOUZOUKI (Minerva) Greece 197? "With Zambetas and his bouzoukia [and] Zafiriou and his bouzoukia and Lakis-Costakis". Record: VG+; a couple of faint vinyl imperfections beg s2, but they're inaudible apart from really brief & very light background swoosh very beg t3. Micro warp nap. Cool 2LP set with 1969-71 field recordings from the Lesser Antilles. Mono. Records: disc 1 VG, disc 2 very strong G with really light surflines only. 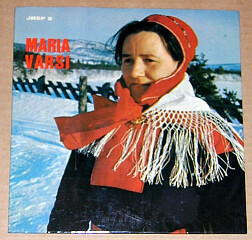 Cover: very strong VG; fo with booklet; some minor overall wear only. Record: F; light scratches/marks & scuffing, nothing overly deep/serious & it plays rather OK with mostly just minor surfnoise. Cover: nice G; downgraded because of a minor part of back at opening having been wet at some point & is now a tad wavy + top flap obc has a small tear is sorta bent; otherwise nice with minor overall wear + some very light soiling & tiny ancient price tag obc.